The Lefty-Catcher! | Hey there all internet-ites! I am Steve K, coming from the mean streets of Buffalo NY. I love sports, mainly baseball and hockey. I intend to use this blog to offer my opinions, insights, and thoughts. Hey there all internet-ites! I am Steve K, coming from the mean streets of Buffalo NY. I love sports, mainly baseball and hockey. I intend to use this blog to offer my opinions, insights, and thoughts. Listing Every National League Teams Biggest Move Of The Offseason. The Hot Stove sure was burning. The 2014 off-season was a great preface to what is sure to be a great 2015 season. Coming up, I will write, in my opinion, each teams biggest move of the off season. What do I mean by “biggest move”? Well, the transaction that will make the biggest difference to the team. Said transactions can be trades, free agent signings, re-signing one of their own, ect. Some will include obvious choices, some will be subtle. That is what makes baseball so great, the smallest detail can provide the biggest reward. Without further ado, heeeerrreeee wwwweeeee gggooooooo! 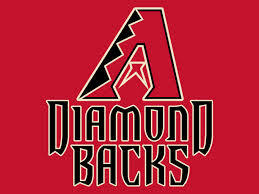 Arizona Diamondbacks sign Yasmany Thomas. Looking towards the future, the Arizona Diamondbacks made a splash by signing Cuban free agent Yasmany Thomas to a six-year, $68.5 million deal. Thomas was listed as a left-fielder, but moved him to play third base. Thomas is billed as a prototypical slugger. Scouts have said they can see Thomas hitting .250-.280, with 25-30 homeruns. Atlanta Braves acquire Max Fried. 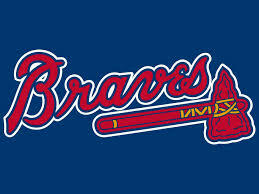 The past offseason saw the Braves become sellers, shipping outfielders Jason Hayward and Justin Upton for future pieces. Atlanta was able to acquire one of the better right-handed pitching prospects in Mike Foltynewicz, but I think Mike Fried has higher upside. Fried is a left-handed pitcher who offers a fastball, changeup, and a good curveball. Fried has a rough go of it last year, but was troubled by arm trouble. Fried had Tommy John surgery last year and will be out for most of the 2015 season, but eventually he can be a 2 starter for Atlanta. 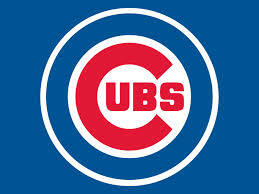 Chicago Cubs sign Joe Maddon as Manager. This has been an offseason where the Cubs front office started to transition from rebuilding to trying to contend. They signed prized free agent Jon Lester and catcher David Ross, traded for Miguel Montero, and Dexter Fowler. But the biggest get is Joe Maddon. Maddon (somewhat surprisingly) exercised an out clause in his contract with the Rays, and the Cubs swooped in (somewhat unethically). Nonetheless, Maddon is a great manager. Known as a players manager, Maddon keeps things loose, employs many defensive shifts, and gets results. 90+ wins from 2010-2013, with a high of 97 in 2008. One American League pennant (2008). Two Manager of the Year awards (2008, 2011). Cincinnati Reds acquire Marlon Byrd. In acquiring Byrd, the Reds find a solution to their lack of left-field power. In 2014, Byrd has a slash line of .264/.312/.445 with 25 home runs and 85 R.B.I.s. 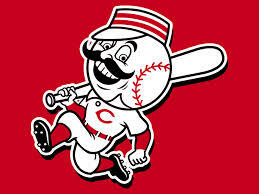 In a lineup featuring a healthy Joey Votto, Jay Bruce, Brandon Phillips, and Devin Mesoraco, look for Byrd to get some quality pitches. The best part of the deal is that Byrd has only one year left on his contract, so if things go south, there is no commitment past 2015. Colorado Rockies sign Nick Hundley. It has generally been a quiet offseason for the Rockies. They made a few quiet deals, but the hope is that the injury bug that hit the Rockies in 2014 is long gone. And they signed Nick Hundley. Hundley is a catcher who spent last year split between San Diego and Baltimore. Hundley is known to be able to handle a pitching staff, and calls a good game. 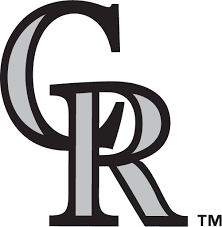 With prized pitching prospects Eddie Butler and Jon Gray set to spend time with the big club, Hundley is a good veteran to have behind the dish. Also, pplayer to have behind the dish. Also, playing half of his games in the thin air, look for his offensive numbers (.233/.273/.352 in 2014) to increase a tad. Los Angeles Dodgers hire Andrew Friedman as President of Baseball Operations. It has been an off-season to remember for the Dodgers, and that includes the Front Office. On October 14, 2014, Friedman announced he would leave the Tampa Bay Rays to become President of Baseball Operations with the Dodgers. Friedman brings with him a sterling reputation (2008 Executive of the Year) and results. With the Dodgers, Friedman hired General Manager Farhan Zaidi. Friedman and Zaidi have traded for shortstop Jimmy Rollins, catcher Yasmani Grandal, and second baseman Howie Kendrick. 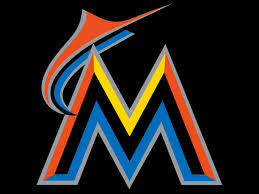 Miami Marlins sign Ichiro Suzuki. As I have previously stated, I am a HUGE fan of veteran players mentoring younger guys on the cusp.Who better to have as a mentor as one of the greatest hitters EVER? Here is an AMAZING statistic about Ichiro’s greatness.Ichiro is 41-years old, and is signed to be the Marlins fourth outfielder, but this is a situation where his off-field mentoring can prove bigger dividends than his on-field output. Milwaukee Brewers acquire Adam Lind. With it being a quiet off-season for the Milaukee Brewers, they got their big move out of the way early in trading for first baseman Adam Lind.Lind is coming off an injury shortened 2014 campaign, relegated to 96 games. When healthy, Lind is almost guaranteed for a .250 BA, 20 doubles, and 20 homeruns. He is also a left-handed bat, which will mesh well with the right-handed power coming from Carlos Gomez, Ryan Braun, and Aramis Ramirez. 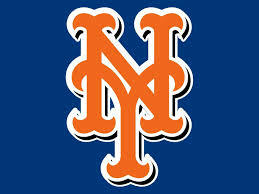 New York Mets sign Michael Cuddyer. The Mets have been stuck in neutral the past couple years. Lately they have tried signing big name free agents (Bartolo Colon, Curtis Granderson, ect) to mixed results. David Wright’s best friend growing up, Cuddyer is coming off an injury shortened season, and it ultimitely cost Cuddyer his spot in Colorado. Cuddy is a 2x All-Star, and won the 2013 National League batting title. Cuddyer is a doubles machine, but I think his power numbers will decline with him leaving Colorado. 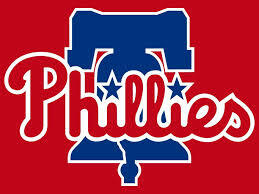 Philadelphia Phillies trade Jimmy Rollins. I went in a bit of a different route with the Phillies, with their biggest move not being someone they brought in, but shipping someone out, and what that move means. The Phillies trading Jimmy Rollins, (and Rollins accepting the trade) to the Los Angeles Dodgers for two young pitchers, signifies a change in culture in Philadelphia. Ruben Amaro and Pat Gillick have finally acknowledged the need for a rebuild. Trading the Phillies all-time hit leader was just the first salvo, with Marlon Byrd being dealt to Cincinnati as well. 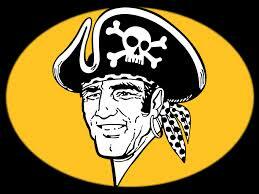 Pittsburgh Pirates sign Jung-Ho Kang. The Pirates landed most intriguing international prospect (with respect to Yasmany Thomas) in Jung-Ho Kang. Kang had an absurd slash line of 356/.459/.739 with 40 home runs in 117 games in Korea last year. The only question is how his game will translate to the MLB, but playing in PNC Park will help. I don’t expect another .356 BA, 40 homeruns, but there is no doubt Kang can handle the bat. Kang is said to be a good athletic defender. 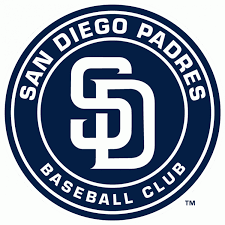 San Diego Padres hire A.J. Preller as General Manager. The Padres are another team who completely revamped their team, and they have one man to thank. New General Manager A.J. Preller traded for Wil Myers, Matt Kemp, Justin Upton, Derek Norris. 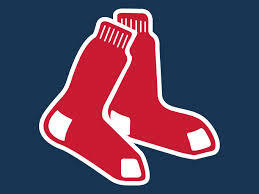 They also acquired Ryan Hanigan, but flipped him to Boston for Will Middlebrooks. The best part is that with all the deals they made, they didn’t part with top prospects Austin Hedges, Matthew Wisler, or Hunter Renfroe. San Francisco Giants acquire Casey McGehee. The Giants are coming off their second World Series in three years, so the Giants don’t have many holes. 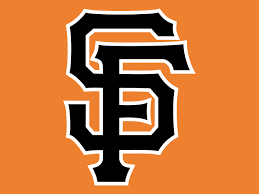 However, when Pablo Sandoval left for Boston, the Giants moved fast to fill his spot with Casey McGehee. McGehee spent 2013 in Japan, then signed with Miami in 2014 to good results. McGehee won the 2014 NL Comeback Player of the Year Award, with slash line of .287/.355/.357, with 29 doubles. Playing in AT&T Park, if McGehee can stay healthy, I don’t see those numbers dropping dramatically. 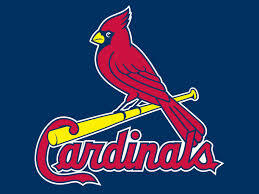 St. Louis Cardinals acquire Jason Heyward. The Cardinals didn’t do much this off-season, but they made a bang in November by acquiring Jason Heyward from the Atlanta Braves. Heyward is a 2x Gold Glove winner, and was the 2014 Defensive Player of the Year. He can handle the bat, has some power, and will steal some bases. Look for Heyward to hit near the top of the lineup to set the table for Matt Holiday and Jhonny Peralta. 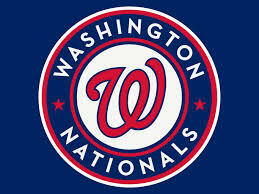 Washington Nationals acquire Trea Turner. This is another instance where I kind of go off the rails, because Trea Turned isn’t officially part of any trade yet. If Turner is included in the deal, the Nationals get a guy who can contribute as soon as 2016. He would be Ian Desmond’s replacement at shortstop if the Nats chose to deal him or let him walk via free agency. Turner is projected as a leadoff hitter with lots of speed. A gap hitter, he should still be able to knock ten out of the park. Decent fielder, but needs to work on his consistency there. The Hot Stove sure was burning. The 2014 off season was a great preface to what is sure to be a great 2015 season. Coming up, I will write, in my opinion, each teams biggest move of the off season. What do I mean by “biggest move”? Well, the transaction that will make the biggest difference to the team. Said transactions can be trades, free agent signings, re-signing one of their own, ect. Some will include obvious choices, some will be subtle. That is what makes baseball so great, the smallest detail can provide the biggest reward. These ranking will be divided into American and National Leagues, and be put in alphabetical order. 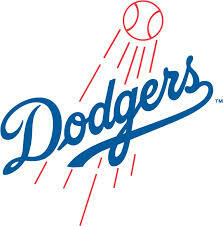 The National League will be posted in a few days. Baltimore Orioles trade for Travis Snider. 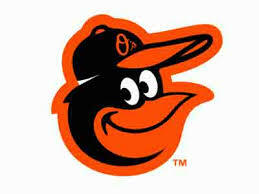 The Baltimore Orioles have had a quiet off season. They resigned Delmon Young to be their designated hitter after Nelson Cruz left, but I think the biggest move they made was trading for Travis Snider. Snider has never lived up to expectations, but has been good in a platoon in right field. After losing his spot to Gregory Polanco in Pittsburgh, Snider was made expendable by the Pirates. In Baltimore, he is expected to platoon with Steven Pearce. Boston Red Sox sign Pablo Sandoval. In contrast to the Baltimore Orioles off season, the Red Sox brass has been busy. 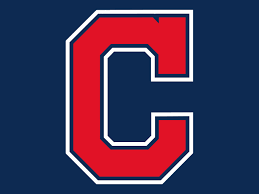 They signed left fielder Hanley Ramirez and pitcher Justin Masterson, traded Yoenis Cespedes to Detroit for pitcher Rick Porcello, traded Rubby De La Rosa to Arizona for pitcher Wade Miley, and traded incumbent third baseman Will Middlebrooks to San Diego for catcher Ryan Hanigan. These moves pale in comparison to the free agent signing of Pablo Sandoval to a five year, $95 million contract. Coming off a World Series title (his second), he proved to rich for the San Francisco Giants blood. Sandoval provides a solid, clutch bat from both sides of the plate. Even though his power numbers have tailed off a bit in the last few years, playing half of his games at Fenway should give him a boost (302, 310 down the lines). At the very least, the Green Monster is set to have a few more dents. Chicago White Sox trade for Jeff Samardzija. The White Sox were another of the busier teams in the American League. They totally revamped their roster. 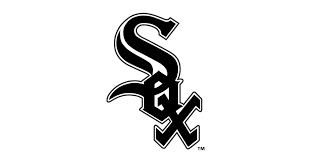 The White Sox signed first baseman Adam LaRoche, outfielders Tony Campana and Melky Cabrera, and for good measure pitchers David Robertson and Zach Duke. And they traded for Jeff Samardzija. Samardzija had a whirlwind year, starting in Chicago (Cubs), before being moved at the deadline to Oakland for prospect Addison Russell. ‘Shark’ cost the White Sox shortstop prospect Marcus Semien, but having Samardzija going after ace Chris Sale was to good to pass up. Cleveland Indians trade for Brandon Moss. The Indians have mostly stood pat this offseason, except for one big trade. In giving up second baseman Joe Wendle, the Indians acquired first baseman Brandon Moss from the Oakland Athletics. Moss had somewhat of a down year, with his batting average and home run totals declining, but after the season it was discovered that Moss was playing through hip discomfort. Before the trade, Moss had surgery to repair a torn labrum, and the Indians are betting on his numbers going back to his 2013 totals. Moss should be ready for Opening Day. Detroit Tigers acquire Yoenis Cespedes. The Tigers did not do much on the free agent market, but they made their names popular in trade talks. 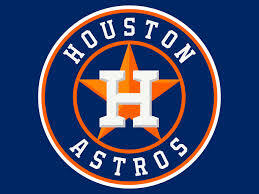 They traded for starting pitchers Alfredo Simon and Shane Greene. They resigned Victor Martinez, which is a big plus, but acquiring Yoenis Cespedes puts this lineup over the top. 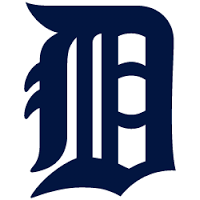 Giving up pitcher Rick Porcello, the Tigers were able to provide protection behind Miguel Cabrera. Cespsdes can hit the ball out of any ballpark, and has an amazing arm. Cespedes is good for 20+ homeruns and 80+ R.B.I.’s, but hitting behind Cabrera, he should get his fair share of hitable pitches. Look for his numbers to go up. Houston Astros acquire Evan Gattis. Coming off consecutive 90+ loss seasons, the focus is on the future in Houston. However, they are now bringing in some veterans to show the youngsters how to win. Acquired with pitcher James Hoyt for Michael Foltynewicz, Rio Ruiz, and Andrew Thurman, Gattis will provide power while playing many different positions. On any given day he can go behind the dish, play left field, man first base, or provide designated hitter duties. In Atlanta, Gattis has had 20+ home runs, but with the short porch in Houston (315 ft. to left field) there is no reason to think he can’t be a 25 homerun 75 R.B.I. guy. Kansas City Royals sign Kendrys Morales. 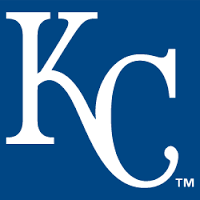 The Royals made a few free agent signings; pitcher Kris Medlan, and Alex Rios. 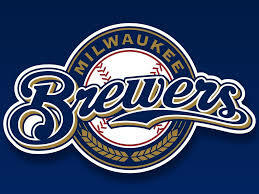 They also traded reliever Aaron Crow to the Marlins for pitchers Brian Flynn and Reid Redman. They also signed switch hitting Kendrys Morales. Despite not signing with Minnesota until June, Morales, who also spent last year with Seattle, had somewhat of a down year. He is still a good switch hitter, and can also occasionally spell Eric Hosmer at first base. Signed to a two year, $17 million deal, the Royals are expecting a rebound. Los Angels of Anaheim acquire Matt Joyce. I think Matt Joyce will thrive in the City of Angels. Joyce is a left fielder by trade, but has the range to play all outfield positions. A gap hitter, Joyce has the ability to move runners over, and will occasionally take risks on the base paths. Having Matt Joyce hitting in the two hole will give more R.B.I. opportunities to Mike Trout, and Albert Pujols. Minnesota Twins sign Torii Hunter. I am a firm believer that a rebuilding team at some point needs veteran players to sort of “show” the youngsters how to win. How to be professional ballplayers. That is why I love the Twins going out and signing Torii Hunter. Hunter has one of the best reputations in all of baseball. He has seen a lot in his years, and has learned a few things. He is an upstanding teammate, and already has plans to mentor uber-prospect Byron Buxton. 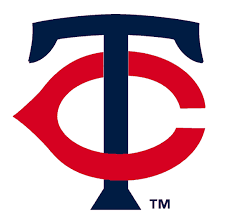 In a season where the Twins are not expected to contend, this move should help the younger guys turn a corner, and start to make a name for themselves. New York Yankees acquire Didi Gregorius. Derek Jeter has retired. For the first time since 1996, there will be a new starting shortstop. Didi Gregorius is that shortstop. Gregorius is a guy who was highly touted, never really had his full chance in Arizona. 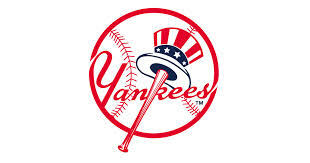 Gregorius who has great range and a solid arm, is known for his defense. Having a full season of at bats, his offense should improve. Perhaps the best part is that Gregorius is still young, so Yankees hitting coach Jeff Pentland should be able to correct any hitches in Gregorius’ swing. Oakland Athletics acquire Ben Zobrist. 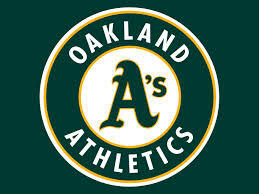 In Oakland, they never rebuild, they retool. In acquiring Ben Zobrist, they received a switch hitter who can also play any position on the field well. Playing in O.Co Stadium will gear towards Zobrists’ game, as he has had 30+ doubles for the last five years. Zobrist will occasionally steal some bases, and plays a smart game. 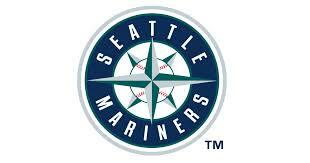 Seattle Mariners sign Nelson Cruz. The signing of Nelson Cruz will help the Mariners in a few ways. He will always be a threat to hit 30+ homeruns, and have 90+ R.B.I.’s. Perhaps the greatest service Cruz will provide is a formidable right-handed hat behind Robinson Cano. Signed through the 2018 season, the Mariners will have a dangerous lineup for years to come. 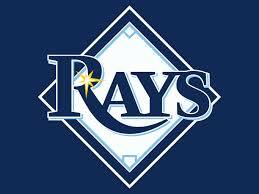 Tampa Bay Rays acquire Steven Souza Jr. In an offseason all about subtractions (Joe Maddon, Wil Myers, Ben Zobrist, Matt Joyce), the greatest return has been outfielder Steven Souza Jr.
Souza is the prototypical player the Rays love. He is young, under team control (for at least five more years). He can play some defense. Souza is said to have power, and will steal the occasional base. Texas Rangers acquire Yovani Gallardo. The 2014 season was marred by injuries. 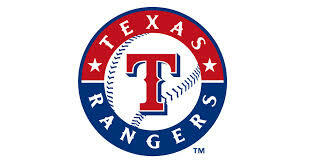 Other than Prince Fielder, the Rangers pitching staff was decimated, and when healthy, under performed. Gallardo is an innings eater who possesses a lifetime 3.69 earned run average. Last year, Gallardo had 146 strikeouts to 54 walks. Gallardo is reunited with pitching coach Mike Maddux, who was in Milwaukee with Gallardo the first two years of his career. 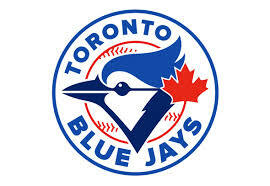 Toronto Blue Jays acquire Josh Donaldson. In a truly shocking move that signaled the start to the Hot Stove, the Jays traded for All-Star third baseman Josh Donaldson. Donaldson is coming off a career year, with career highs in home runs (29) and R.B.I.’s (98). Signed through the 2018 season, look for Donaldson to grow into a perennial All-Star and MVP candidate. There have been numerous times throughout my life when I was told that I was old-fashioned. “You have such an old soul” my mother would say from time to time. Reasons range from the fact that I still pay for music, I prefer listening to the radio, and the fact that I still read the newspaper. When I decided to propose to my then girlfriend, I felt it right to ask her father for permission first. However, the most out of wacky reason why I have ever heard that I was old-fashioned, even more than the reasons listed above, is when I tell people that I love baseball. First off, the beginning of baseball season signifies the start of spring! Baseball means better weather! There is something about being outside for two or three hours, taking in the sunshine and fresh air, watching the National Pastime. Baseball is one of the few things where being the same can be so different. Each field has four bases, 90 feet apart from each other. The beauty is that each field has different dimensions and features. Everybody knows Fenway Park for the Green Monster. Same goes with Wrigley Field and their outfield ivy. Houston Astros’ field has a hill in their center field. The Pittsburgh Pirates have a 21 foot wall in their right field. The San Francisco Giants have a giant baseball glove in their left field seats. Compare this with football. With the exception of the Buccaneers having a pirate ship, nothing else stands out. There are no ties. Either you win or you lose. There is no time limit. You play until someone wins. The longest game lasted eight hours and went for 19 innings, and there was still a game the next day. Even when a game is cancelled due to inclement weather, it is always made up. For those who like strategy, baseball is the game for you! You have to decide when to hit and run, steal a base, intentional walk, where to play the defense for a specific batter. Decisions have to be made with your bullpen, when to use a left handed pitcher against a left handed batter. When to order a sacrifice bunt in order to move a runner up. The biggest thing in baseball is its history. Everyone knows about Babe Ruth, Mickey Mantle, Ty Cobb, Willie Mays, and Jackie Robinson. A reason I love baseball is for the other players. For example, Moonlight Graham, who was made famous from the motion picture Field of Dreams. Graham was a man who played exactly one half inning of one game and never recorded an at-bat. Or “Shoeless” Joe Jackson. Jackson was a ballplayer for the Chicago White Sox from 1915-1920. He was banished from baseball for life for his supposed part in the 19191 “Black Sox” scandal (the 1919 White Sox were accused of throwing the World Series). Babe Ruth was said to have modeled his batting stance after Jackson, but he is known at the face of the “Black Sox”. Baseball has a unique way of bringing the past together with the present. To me, there is nothing better than the time from April to the end of October. The best is even though there are 162 games; there are always two or three teams who have their seasons come down to the last game. Sometimes, there has to be one more game to settle divisions or wild card spots. Ten times, where one game meant one team making the playoffs, and one team going home. There may not be jaw dropping hits or cheerleaders, but nothing compares to when someone hits a two out double down the line to score the winning run.